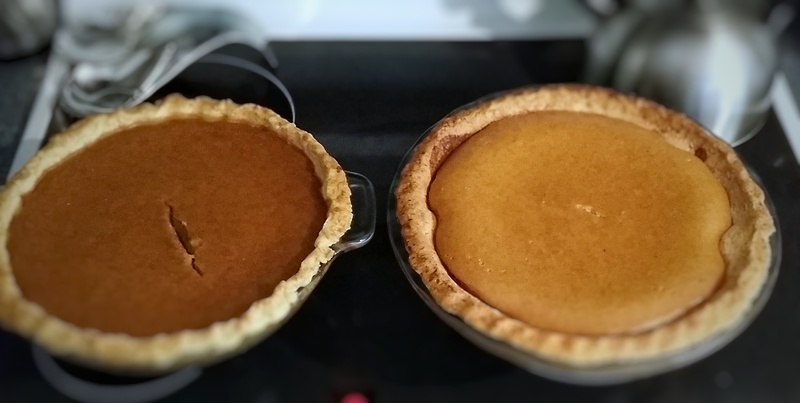 pumpkin pie – Love your own cooking! That’s what I ended up making. I left the homemade whipped cream on the side, but visually it would have been better had I spooned a dollop on each pie. Let’s talk about pumpkin pie. I did a taste test a few years ago. I tried evaporated milk, coconut milk, and heavy cream. Hands down, the heavy cream pie tasted far better to me. 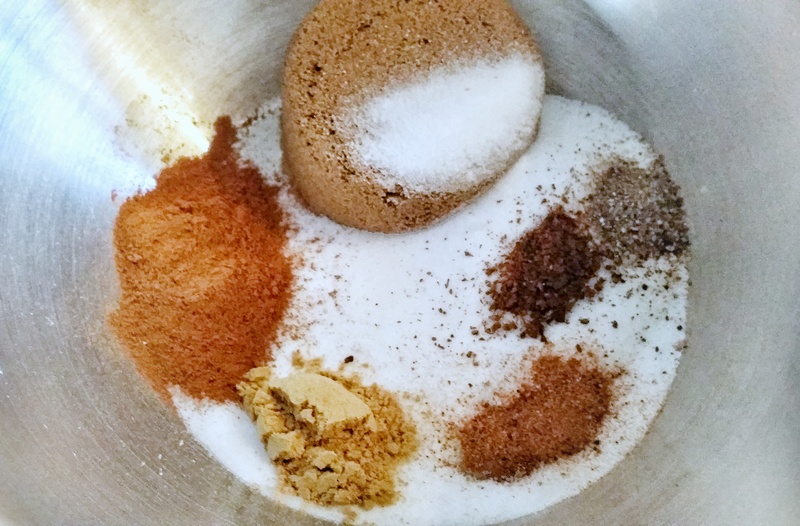 1/2 cup packed dark brown sugar. * To make pumpkin purée from a sugar pumpkin: start with a small-medium sugar pumpkin, cut out the stem and scrape out the insides, discard (save the seeds, of course). Cut the pumpkin in half and lay cut side down on a rimmed baking sheet lined with Silpat or aluminum foil. Bake at 350°F until fork tender, about an hour to an hour and a half. Remove from oven, let cool, scoop out the pulp. 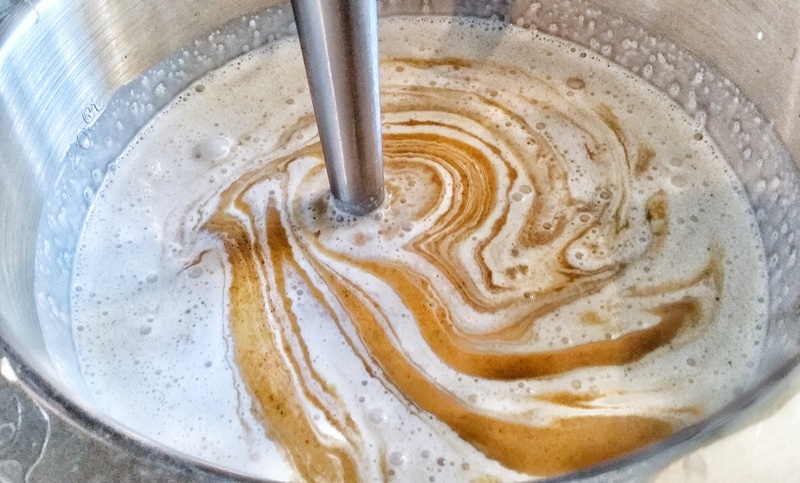 I’ll immersion blend the pulp to make it as smooth as possible.If you plan to make whipped cream, then put a large stainless steel bowl, and whisk or whisk attachments in the freezer. Trust me, you want to do that. Preheat oven to 425°F.2 Mix sugars, salt, and spices, and lemon zest in a large bowl. Beat the eggs and add to the bowl. Stir in the pumpkin purée. Stir in cream. Whisk all together until well incorporated. Pour into pie shell and bake at 425°F for 15 minutes. After 15 minutes reduce the temperature to 350°F. Bake 40-50 minutes, or until a toothpick inserted in the center comes out clean. 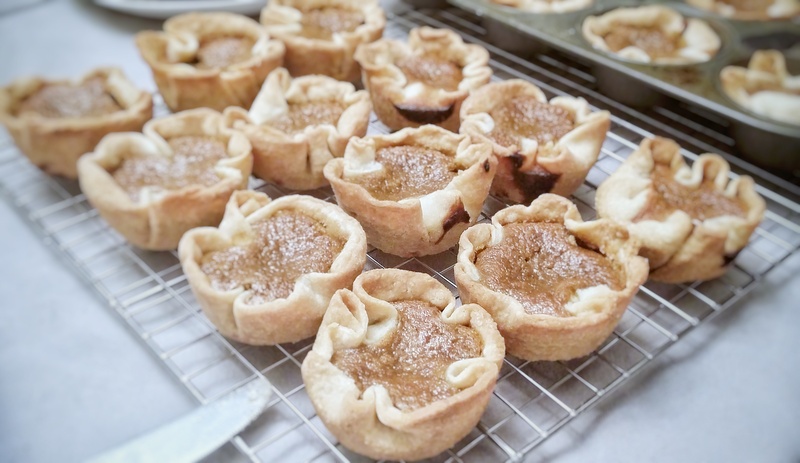 If you’re making mini pies, then 30 minutes at 350 degrees would work. Cool on a cooling rack for 2 hours. Now pour 1 cup of heavy cream in the stainless steel bowl left in the freezer. Whip it with 1/4 cup of powdered sugar, 1 teaspoon of vanilla extract until stiff peaks form. Don’t overbeat. Serve on the pie.